How small businesses in the organic industry can attract talent and promote their brands. The organic industry continues to boom. Consumers are becoming more and more conscious of the products they buy for themselves and for their families. Many of these consumers are so passionate about the products they use that they decide to start their own companies. This is evident if you happen to be on Instagram, where you will see literally hundreds of entrepreneurs worldwide creating and introducing more organic, clean, natural, safe and ethical products in the food, beauty, body care, skincare and clothing markets. These young entrepreneurs are strong advocates who have become contributors and key drivers of the organic movement. Finding the right talent who is motivated and committed to your organic mission. However, when their business grows and there is a need to hire they face a recruitment challenge that even the large and established companies face. Not everyone is as passionate or driven the way they are. When it comes to recruitment and talent acquisition, companies naturally want candidates and employees who are not only qualified for the job, but who also believe in the products and services they offer. Unfortunately, not all employees are onboard with the same attitude and commitment. Regardless of industry, many employees treat their jobs as “just a job” or “just a paycheck”. This is no revelation. Many companies across all industries have always faced this challenge, especially if they are in a geographic market where there is a talent shortage. Basically, they hire whoever is qualified. Even though flexibility to work remotely is growing, there still lies the need at times to have staff and employees based locally. The organic industry is no different. Ideally, organic companies want their employees to believe in the products they use, the health benefits they have for the consumer and the positive impact they have on the environment. Indeed, there are some great success stories in the organic industry that have proven that it is possible to find great talent that is also committed to the mission of the company. These companies succeed because they create a company culture that attracts employees and also engages them in their goals as contributors. They want team players. They want their employees to be ambassadors of the company, regardless of position or title. Like a sports team they want team chemistry. For small businesses in the organic industry, it is also important to find employees who believe in the products and mission of the company and who will contribute to the company’s success and evolution. This is especially important as they build a core team. Having a core team that is truly committed to the mission of the company will increase the company’s chances for operational success and also allow them to grow. Jobganic.com is a unique niche recruitment site that serves the organic industry, which includes organic companies and also job seekers who truly want to find a career in the industry. Large companies and small businesses can use Jobganic as an “industry-specific” recruitment tool to attract talent but to also promote their brands. The organic industry is one where entrepreneurial consumers are helping to shape and introduce new products of their own. With more and more startup companies springing up, a niche career site like Jobganic allows small and young companies to showcase their brand(s) to an audience of job seekers who are also consumers – thus enlightening them not only to great employment opportunities but to new and healthy product offerings – products that they are not always able to market extensively or sell through large retailers due to marketing costs and competition. Jobganic proudly supports all businesses in the organic arena, especially small businesses. The hiring needs of a large, multi-million dollar corporation are different from that of a small local beauty retailer. Small and local businesses don’t have big recruitment budgets, investment funding to grow operationally, or reside in key metropolitan markets compared to larger established companies. This is why Jobganic allows small businesses to post their job opportunities for free since it may be harder for that business to afford, attract, hire and compete. Jobganic encourages organic small businesses to use their service as a recruitment tool to attract talent and as a marketing tool to ultimately attract new customers. Are you an organic company that is actively hiring? 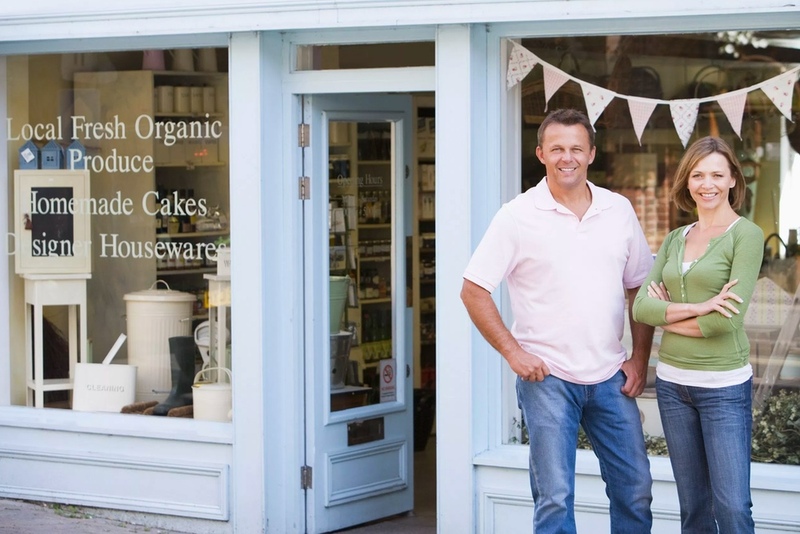 A small business such as a local organic farm, organic spa, organic salon, or retail store? Or are you an entrepreneur who just started a small organic beauty, skincare, body care or clothing company? If so, be sure to check out Jobganic when you are ready to hire.